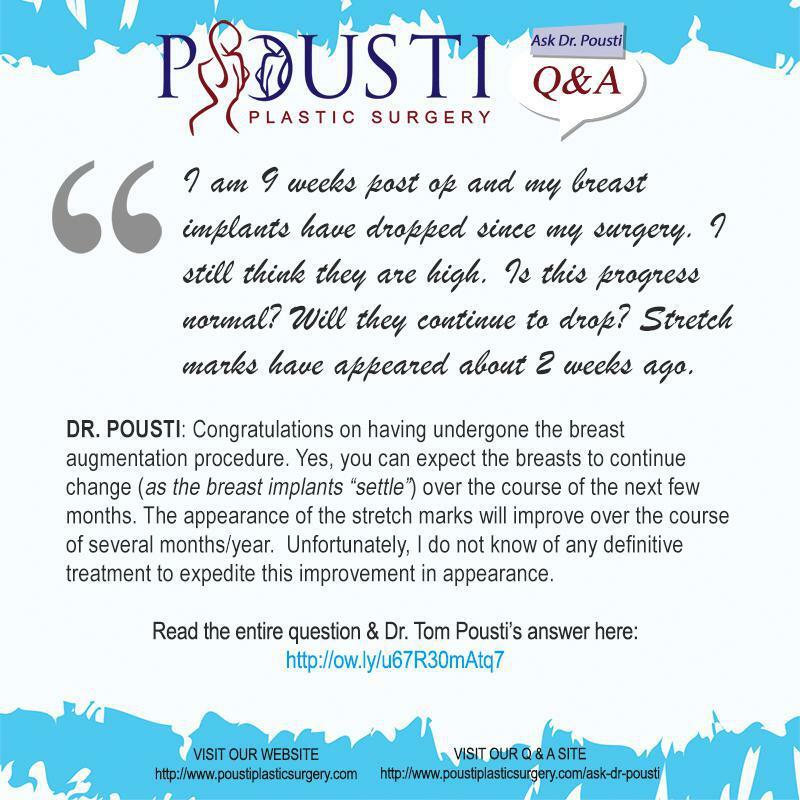 Pousti Plastic Surgery Blog Q&A: 9 WEEKS POST OP, WILL MY BREAST IMPLANTS DROP MORE? 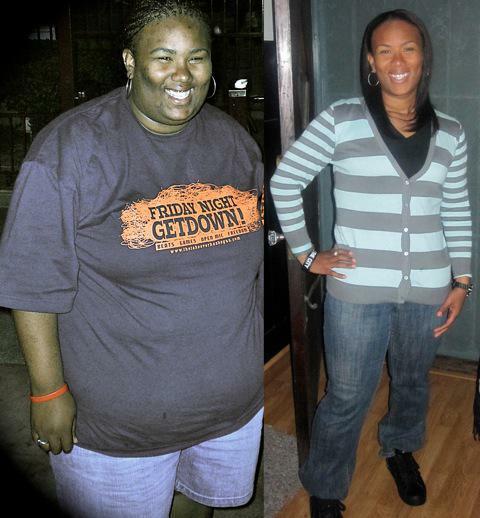 "I was a 34 A and I am now a 34 C. I got 450 CC saline implants in both breasts. I am 9 weeks post op and my breast implants have dropped since my surgery. I still think they are high. Is this progress normal? Will they continue to drop? Stretch marks have appeared about 2 weeks ago. Anything I can do to help with the stretch marks? DR. POUSTI: Breast Implants “Dropping” after Breast Augmentation? Congratulations on having undergone the breast augmentation procedure. Yes, you can expect the breasts to continue change (as the breast implants “settle”) over the course of the next few months. 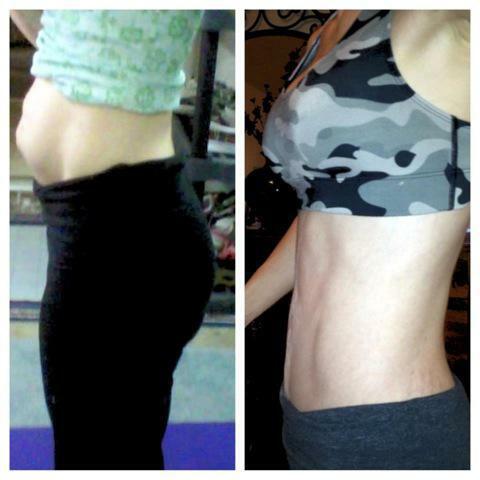 The appearance of the stretch marks will improve over the course of several months/year. Unfortunately, I do not know of any definitive treatment to expedite this improvement in appearance.